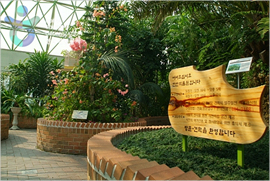 The Ansan Botanical Garden (안산식물원) has three pavilions: The first pavilion (382.81㎡) is a tropical garden, while the second pavilion in the middle (846㎡) and the third to the south (846㎡), feature marsh plants. 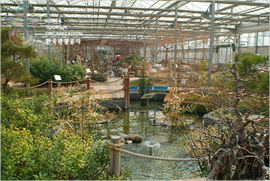 Outside are four rose gardens, a fruit tree garden, a wild plant garden, a plant succession garden, and a pond (featuring a total of 46 plants including red momo botan lotus). 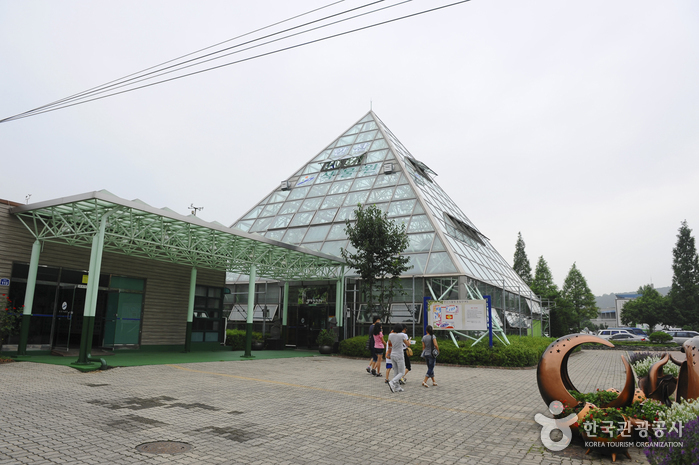 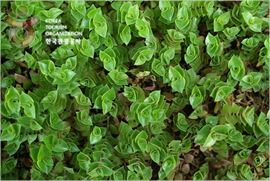 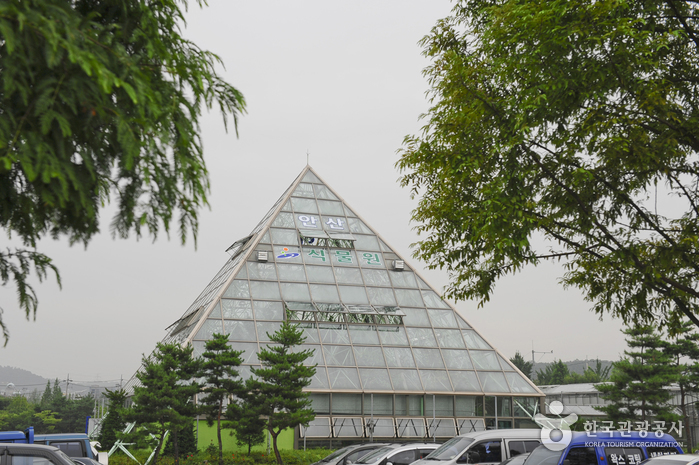 The botanical park has a pyramid-shaped, modern greenhouse that is a source of pride for Ansan City. 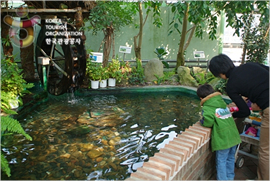 The park is also connected to Seongho Park. 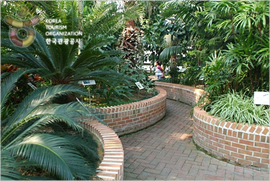 * Pavilion 1 (Tropical plant garden) – 2,300 plants including palm trees are on display. 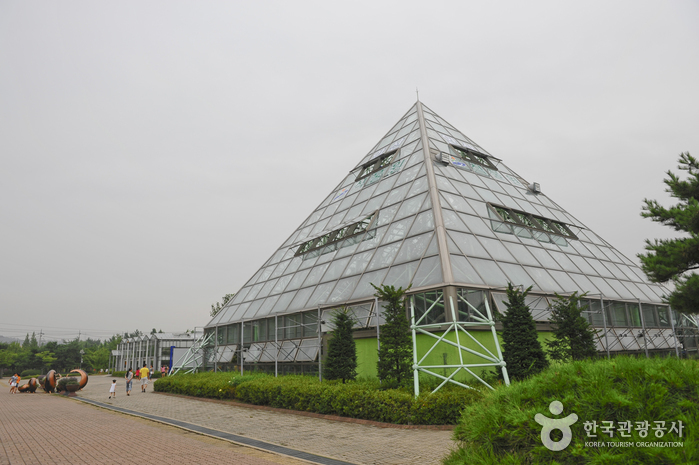 This is a pyramid-shaped greenhouse accommodating tropical plants. 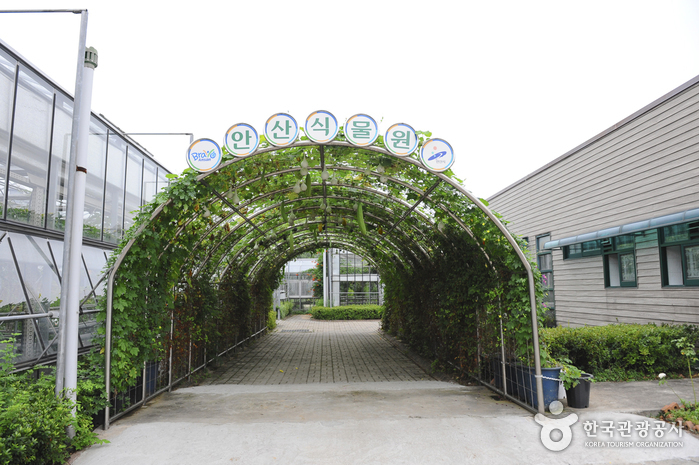 The regulation of temperature and irrigation along with the windows are automated. 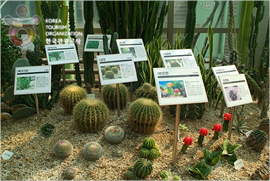 Some 2,300 plants that can only thrive in tropical a climate are on display such as palm trees, flowering plants, and cactuses. 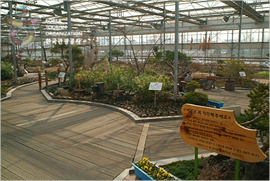 * Pavilion 2 (Central garden) – 12,000 plants including irises are on display. 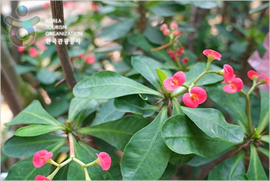 Some 12,000 wild flowers and trees native to Korea are on display such as fragrant daphne, Orostachys Japonicas, beautiful Siberian chrysanthemum, Microporus vernicipes Kuntze, and Taxus cuspidate, a rare plant from Korea’s Mount Seorak. 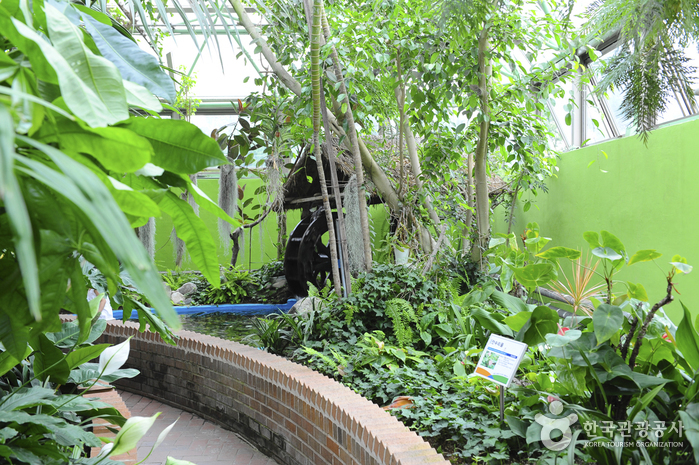 * Pavilion 3 (South garden) – 16,000 plants including wetland plants are on display. 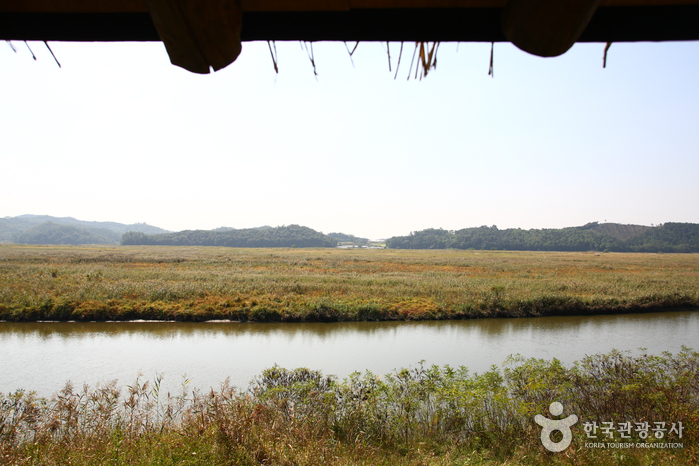 16,000 rare plants and trees that grow in the southern part of Korea, sas well as a pond, lotuses, and fragrant trees provide for a sentimental environment. 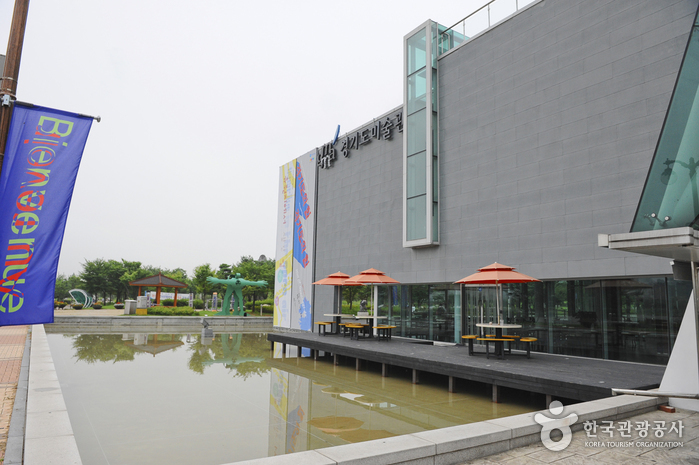 * For group exhibition, please book a week advance/a month in advance for high season. 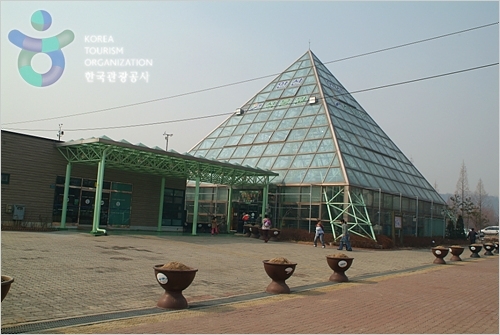 -From Handaeap station (Seoul Subway Line 4), take bus 11, 11-2, 76, 99-1, 99-2 or 125. 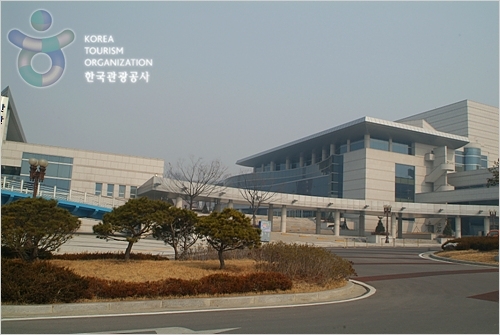 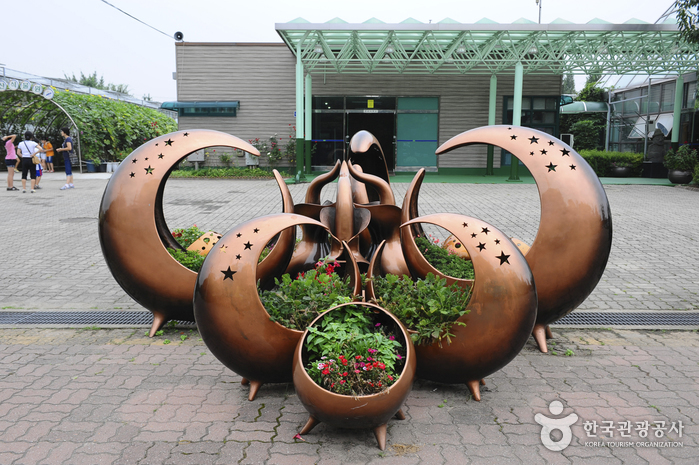 -From Suwon station (Seoul Subway Line 1), Exit 4, take bus 11 or 11-2.